Just a week after saying the U.S.-China trade dispute is “on hold,” the Trump administration has pushed ahead with plans for tariffs on some Chinese imports. Tariffs increase the cost of imported goods, and those increases almost always get passed along to consumers. On Tuesday, President Trump said the U.S. would move ahead with a plan to impose a 25 percent tariff on $50 billion worth of Chinese imports. The White House said the tariffs will begin within the next month. But it is entirely possible a trade truce could be called once again. Commerce Secretary Wilbur Ross will go to China within days for talks designed to resolve outstanding issues. Ross is in Paris today, where he scolded the European Union (EU) for refusing to negotiate with the U.S. after Washington imposed tariffs on EU imports in March. Ross noted that China, at least, was willing to negotiate. Trump imposed the tariff on all steel and aluminum imports, saying he was acting to protect American jobs. But the tariffs have been postponed while the U.S. tries to renegotiate the North American Free Trade Agreement (NAFTA). Trump has repeatedly said that the U.S. has accepted bad trade deals, suggesting the tariffs may be a negotiating tool as the administration seeks to improve its trade posture. So far, the tariffs on China have not targeted finished goods sold to consumers. However, the higher costs for Chinese steel, aluminum, and electronic components have the potential to make other products more costly for consumers. A recent analysis by Bloomberg News found the list of products facing a 25 percent tariff appears to have been carefully crafted, excluding items that would impact consumers the most and could potentially disrupt the U.S. economy. 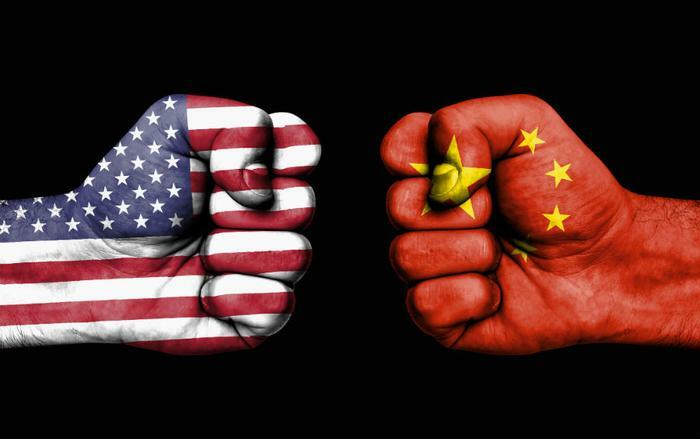 For its part, China has responded to the surprise announcement from the White House by saying it does not want a trade war, but it isn't afraid of one either.